Thin Clients haven’t changed in many years. 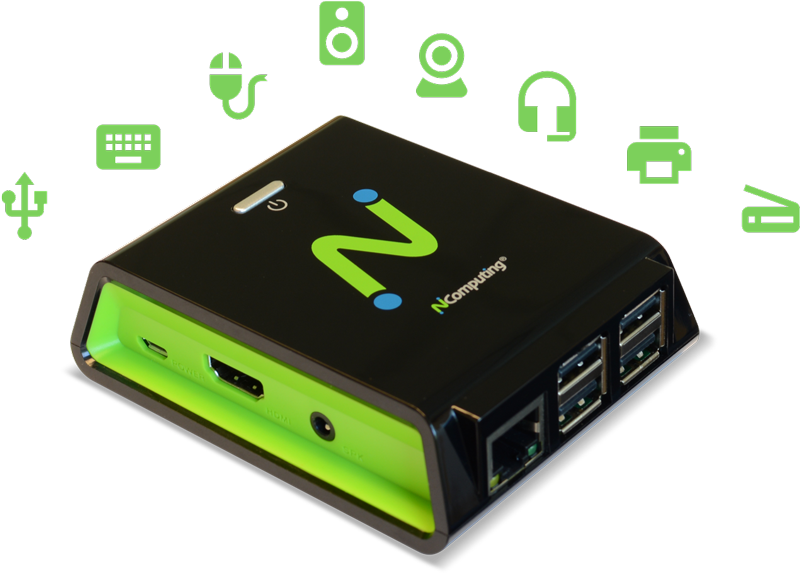 With the Citrix Ready workspace hub (RX-HDX), NComputing introduces a true next-generation thin client. It is Citrix Ready verified which makes certain that it meets the performance, security and manageability demands of the enterprise. Through close collaboration with Citrix, the RX-HDX is part of the Citrix Ready workspace hub program which will solve innovative use cases around enterprise IoT dealing with workplace transformation. Dual display capability when combined with the SDA. 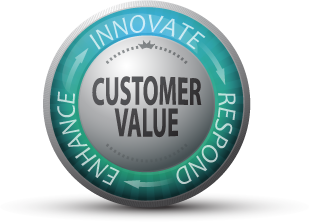 Join our customers in experiencing the best Citrix thin client available today. Start your POC today. We are here to help. 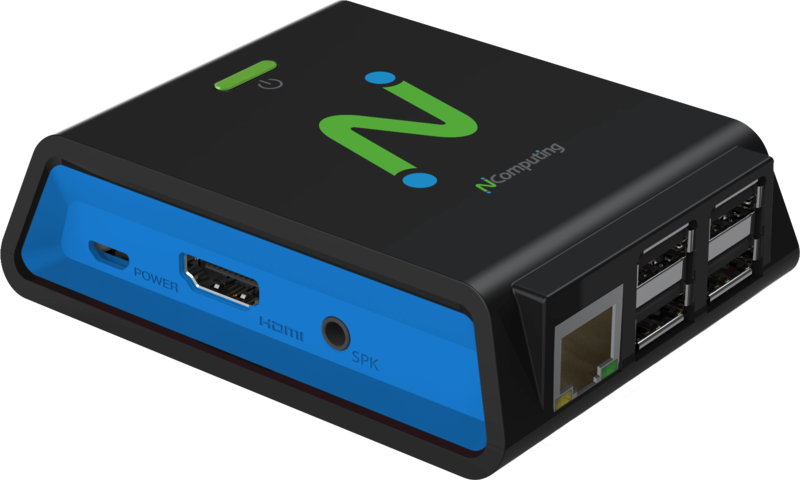 NComputing is an official Citrix HDX Ready Pi partner. The RX-HDX is fully optimized for Citrix HDX Ready integration delivering a low-cost and powerful desktop virtualization solution for enterprises. 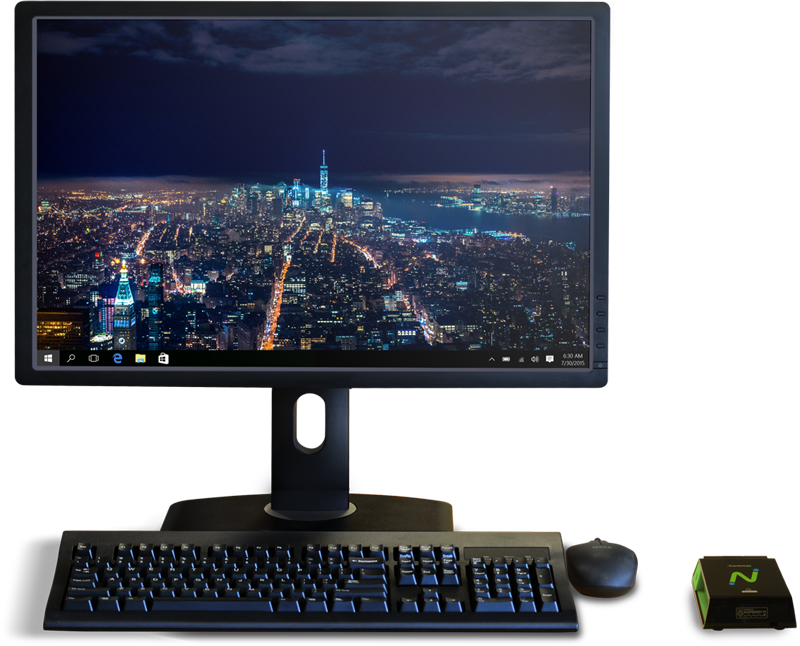 Powered by the latest Raspberry Pi 3 platform with quadcore Broadcom 2837 SoC and Stratodesk NoTouch OS, RX-HDX provides the full HD multimedia capabilities demanded by knowledge works and in other demanding environments using less than 5 watts of power. 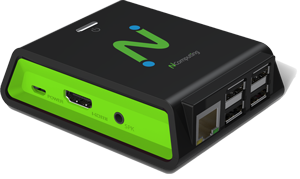 The RX-HDX thin client incorporates full client-side rendering for efficient playback of video content and uses server-side rendering for flash video playback with resolutions up to 1920x1200. The RX-HDX integrates enterprise-grade device management software powered by Stratodesk NoTouch Center, developed specifically with enterprise customers in mind, providing a highly scalable, flexible and easy-to-use single management point for RX-HDX devices. By allowing administrators to access and manage all RX-HDX devices from a single location, regardless of the size or number of deployment sites, we dramatically reduce the administrative overhead needed to maintain and control their environment. Session roaming and screen casting to the workspace hub is supported on these versions of the Citrix Workspace app. 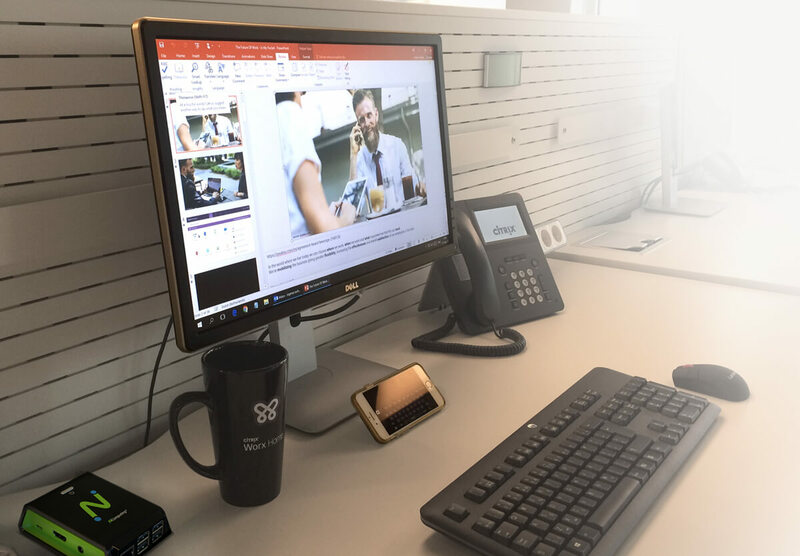 The RX-HDX Citrix Ready workspace hub is a secure, powerful and low cost enterprise thin client & IoT hub that transforms the workplace. Improve employee productivity with session roaming and screen casting, allowing a Citrix session to pass from a mobile device to the workspace hub, or redirect the display from their device to an unoccupied workspace hub connected to the TV in the conference room. In partnership with Citrix, our innovative HDMI Secondary Display Adaptor (powered by Pi Zero) delivers high performance and responsive HD content display & media playback (1920x1080). 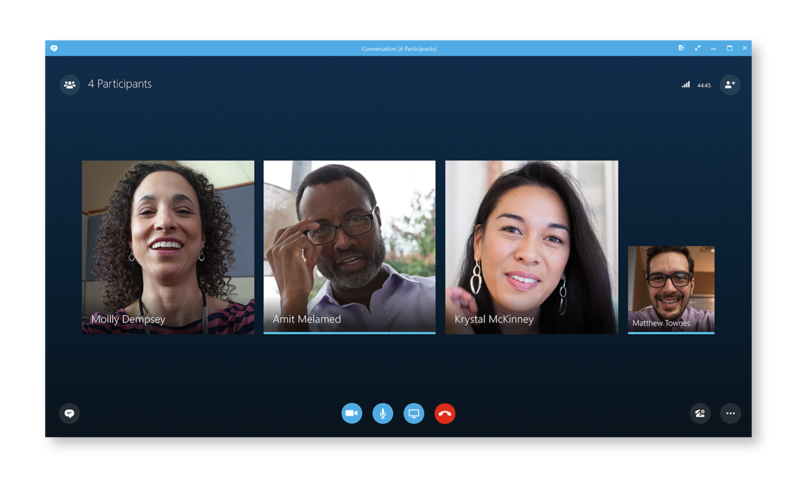 Users can seamlessly participate in audio-video or audio-only calls to and from other HDX RealTime Media Engine users, native Skype for Business, and other standards-based desktop video and conference room systems. RX-HDX provides flexible endpoint deployment with built-in 10/100 Ethernet, Wi-Fi (802.11 b/g/n) with 802.1x and Bluetooth connectivity. 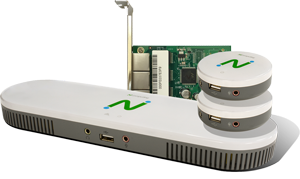 The newly released RX-HDX+ (based on Raspberry Pi3 Model B+) expands WiFi support to 5GHz deployments within the 802.11 b/g/n/ac offering. These endpoints are also IoT edge devices, part of the Citrix Workspace IoT. Using Azure Edge technology it is capable of executing workflow automation. RX-HDX allows transparent redirection of USB peripheral devices including mass storage, printers, scanners, smart card readers, headsets or speakers, webcams, COM ports, and 3D mice in addition to the standard keyboard and mouse. Network-connected printers can also be redirected to Citrix sessions. 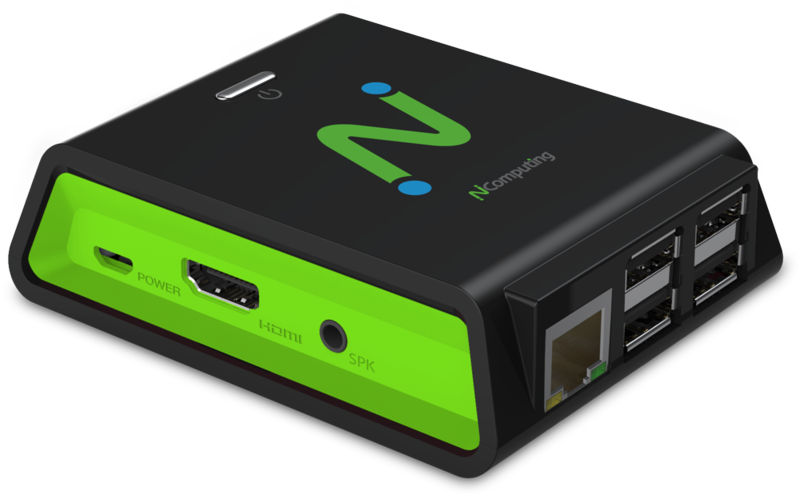 If you need technical help with your NComputing products, please click here to submit a support ticket so we can help you faster. What is the difference between RX-HDX and RX-HDX+ devices? Which device should I use? RX-HDX is designed based on the popular Raspberry Pi 3 Model B platform. 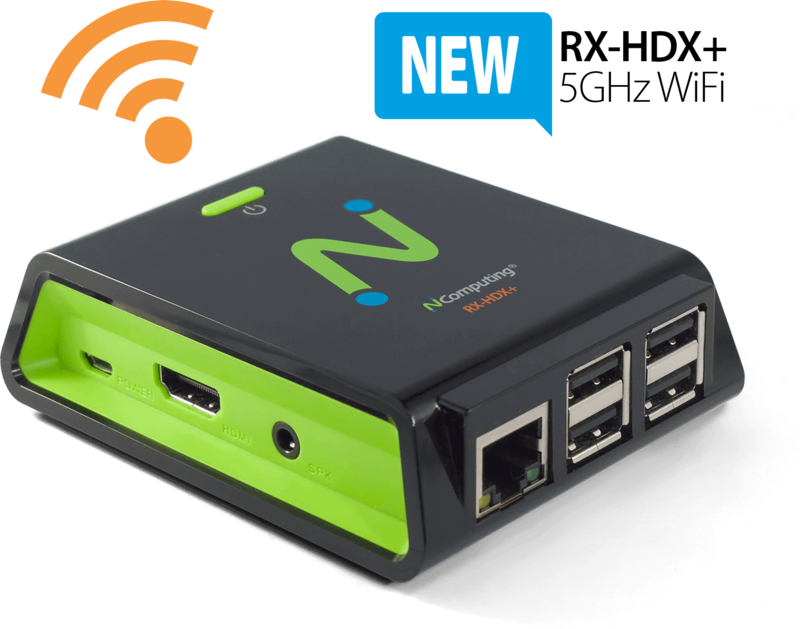 The device comes with built-in 10/100 Ethernet and integrated 802.11 b/g/n (2.4GHz) WiFi.RX-HDX+ is a newly released model based on the new Raspberry Pi 3 Model B+ platform. 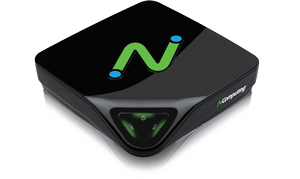 The device comes with built-in Gigabit Ethernet and integrated 802.11 b/g/n/ac (2.4GHz and 5GHz) Wifi. For organization that deploys endpoints using wire connections, RX-HDX is the ideal endpoint device. For organization that deploys endpoints using WLAN, RX-HDX+ is the ideal device with 5Ghz WLAN deployment support. Is the RX-HDX device a Citrix Ready workspace hub? Does the RX-HDX come with dual display support? The RX-HDX is dual display capable. 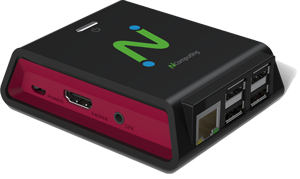 In partnership with Citrix, our innovative HDMI Secondary Display Adaptor (powered by Pi Zero) delivers high performance and responsive HD content display & media playback (1920x1080). We are the only vendor which has this adaptor fully FCC/CE certified for commercial deployment and in full production worldwide. What recent enhancements and features have been added to the RX-HDX? Our latest RX-HDX firmware release (version 2.40.4306) comes with dual display support, RTME (version 2.4) integration for Skype for Business optimization and the Citrix Workspace app 1810 (latest Citrix Receiver for Linux 13.10). It also includes the Citrix Ready workspace hub features such as session roaming, screen casting, proximity authentication and IoT capabilities to further enhance productivity and security. Yes. The RX-HDX integrates enterprise-grade device management software (Powered by Stratodesk NoTouch Center), developed specifically with enterprise customers in mind, providing a highly scalable, flexible and easy-to-use single management point for RX-HDX devices. Organize deployments in single or multiple sites with one software solution that simplifies management tasks including firmware updates, configuration changes, device resets and more. Optionally, RX-HDX can also be managed by Citrix XenMobile (UEM). Does RX-HDX support popular SSO / Tag-and-Go solutions like Imprivata / Caradigm? Session roaming or screen casting to the Citrix Ready workspace hub (RX-HDX) is supported on various versions of Citrix Workspace app including Android, iOS, Windows and soon MacOS. When will the Citrix Casting feature be available? You can download the latest RX-HDX datasheet here. There are many useful resources and guides which can be found in the "DOCUMENTATION" section of the RX-HDX page. The fastest way to reach us is to fill out this form so we can respond quickly. We look forward to the collaboration and partnership.